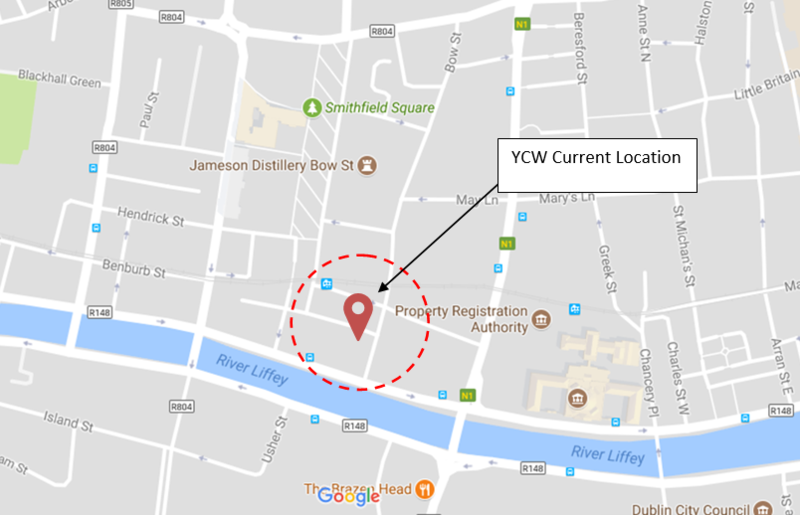 After more than 25 years at 11 Talbot Street YCW Ireland has moved to its new offices at St. Paul’s Church, Arran Quay, Dublin 7. This is a very exciting move for us as we enter into a new phase for the Irish Movement. Our new office is based at the heart of Youth Ministry in the Dublin Diocese, close to Heuston train station, the Smithfield Luas stop and within walking distance of O’Connell Street. We look forward to welcoming you at our new premises and continuing to work towards building a more Just Society for All!